Climbing, sailing, making music. Their expedition on the Dodo’s Delight is a dream come true for Sean Villanueva O’Driscoll, Ben Ditto and Nicolas and Olivier Favresse. This is the behind the scenes story of how the climbers met Captain Reverend Bob Shepton. With his dinghy Bob drops Sean, Olivier and Nico at the foot of the wall. He stays on the boat—understandable as he’s 81 years old. The story begins 20 years ago. Sean and Ben meet for the first time on a climbing trip in the Red River Gorge. It’s 15 years ‘til their paths cross again when Ben gets to know Nico through mutual friends and Nico introduces him to him climbing partner – who turns out to be Sean. It becomes obvious quite quickly: Ben, Sean and brothers Nico and Olivier Favresse share the same passion for exceptionally adventurous climbing destinations. Their expeditions lead them to Patagonia, Venezuela, China and eventually to the Arctic. An Italian mountain guide met Captain Reverend Bob Shepton crewing a multi-million dollar yacht for wealthy clients in the Mediterranean. 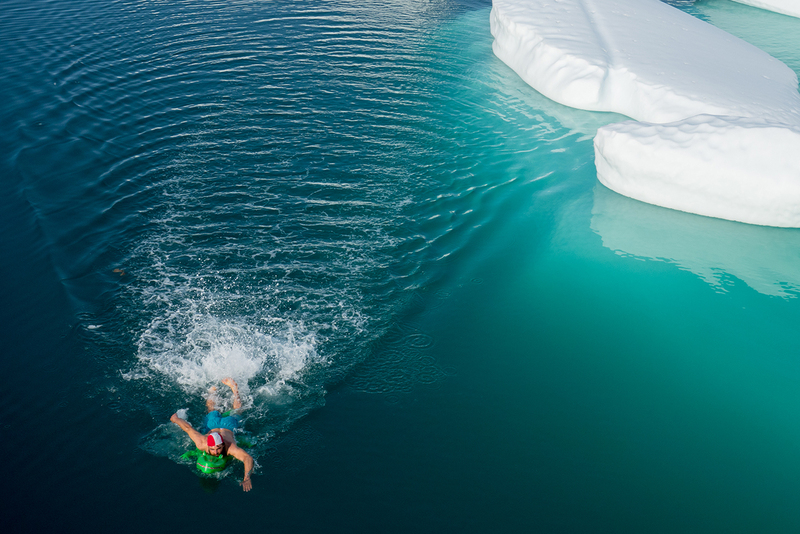 In 2010, after hearing Nico’s plans to establish new routes on the coast of Greenland, the guide recommended Nico get in touch with Captain Bob whose favourite waters are the Northern Atlantic and the Arctic Ocean. The skipper may have been sailing the seas for many years – as a naval officer, teacher and minister and now in retirement – but, at first, he’s reluctant. He doesn’t like sailing with strangers. After exchanging a few e-mails the climbers and the captain agree to go on the expedition together. Ten minutes after meeting in the harbour at Aasiaat (Greeland) it’s clear: everyone is pretty much on the same – yet slightly chaotic – page. While Nico and Olivier grew up on a sailing boat and are both expert sailors and climbers, Ben and Sean have to take a crash-course in crewing. That year the Dodo’s Delight and the climbers set sail for the first time. They are heading for the big walls on the west coast of Greenland. There they do a couple of first ascents (e.g. The Devil’s Brew) for which they are awarded a Piolet d’Or. 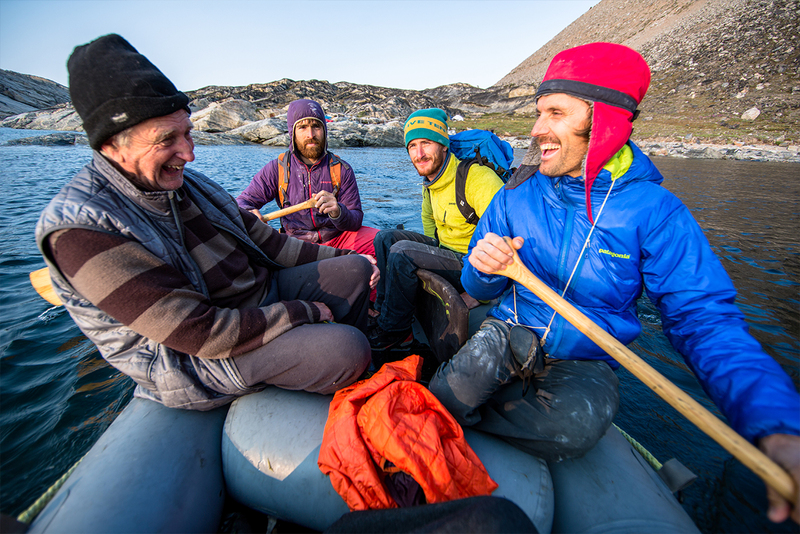 Four years later the dream team is reunited – setting course for Baffin Island. En route for Baffin Island, The Dodo’s Delight encounters many loose ice floes and icebergs – as well as polar bears. The crew spots eight bears on their first day on the boat, but only Olivier and Ben have the privilege to meet one face to face. After six weeks of “bear” calm they are descending from a mountain peak, when they literally bump into a polar bear. The animals must have been tracking them. And the gun, designed for situations like this? It was on the boat. There’s nothing else for it – they stand their ground, shouting and screaming at the tops of their voices. It works – the bear turns tail and flees. In Swiss Bay, near Sam Ford Fjord, Sean is testing the buoyancy of his rubber crocodile. An expedition without music would be unthinkable for Sean, Nico and Olivier. Even Ben, who only acquired a taste for it when he met the Belgians, has come to love their jam sessions. He learned to play the harmonica on a trip to South America. On board the Dodo’s Delight Ben, with two spoons, forms the group’s rhythm section, supported by Captain Bob with an egg-shaker – a plastic egg quarter-filled with rice. Together with Olivier’s accordion, Nico’s mandolin and Sean’s tin whistle – a simple flute used in Celtic folk music, the quintet is complete. Of all the band’s songs “Dodo’s Delight” has most earworm potential. Sean had originally started to write it and then shaped and reshaped it together with the rest of the band. There are some minor creative arguments about the music and words, especially about Bob’s part of the song. But, in the end, even the Captain is satisfied.